This entry was posted in Architecture, Glimpses, Gray Street, Greater Portland Landmarks, History, Images, Llewellyn Morse Leighton, Queen Anne, Then & Now, West End Walks and tagged 19th Century, clapboards, doors, entries, Glimpses, Greater Portland Landmarks, History, images, Portland, Portland Maine, Queen Anne Style, shingles, sunburst, Then and Now, West End on December 12, 2018 by alewifecove. Another house built on spec in Fessenden Park. 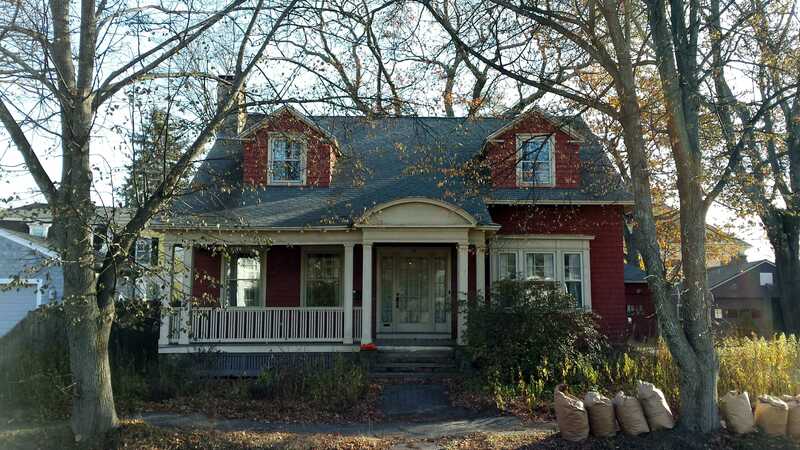 This entry was posted in Architecture, Arthur E Marks, Built on spec, Colonial Revival, Fessenden Park, History, Images, Off the peninsula, Queen Anne, Remuddling, Then & Now, William Street and tagged 19th Century, Architecture, Colonial Revival, doors, Glimpses, History, images, Maine, Portland, Portland Maine, Queen Anne Style, Remuddling on July 16, 2018 by alewifecove. Built ca: 1854-55 for William H Stephenson. An eclectic double house on the corner of State and Spring Streets. This entry was posted in Architecture, Double House, Gothic Revival, History, Images, Italianate, Spring Street, State Street, Survivor, Then & Now, West End Walks and tagged 19th Century, Architecture, doors, Greek Revival, History, images, Italianate, Maine, Portland, Portland Maine, The Gothic Revival, West End on March 25, 2018 by alewifecove. Built ca: 1850 for Warren Sparrow. 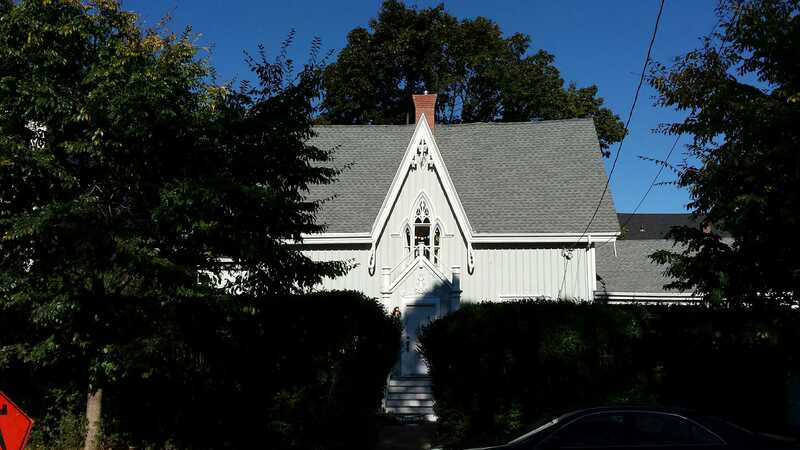 This entry was posted in Architecture, Arlington Street, Glimpses, Gothic Revival, History, Images, Llewellyn Morse Leighton, Off the peninsula, Woodfords and tagged 19th Century, Architecture, doors, Glimpses, History, images, Maine, Portland, The Gothic Revival on January 28, 2018 by alewifecove. Built ca 1827 by Jonathan Dow. This entry was posted in Architecture, Brackett Street, Glimpses, Greater Portland Landmarks, History, Images, Neal Street, Post Colonial, Survivor, Then & Now and tagged Architecture, doors, Glimpses, Greater Portland Landmarks, History, images, Portland, Post Colonial, West End on August 11, 2017 by alewifecove.